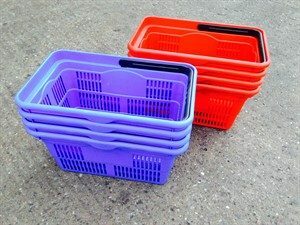 This stable and well balanced trolley stacks on end when not in use. 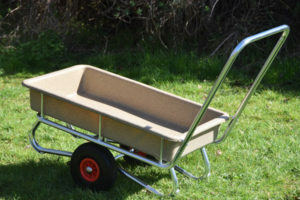 It is ideal for when space is limited, and is both durable and sturdy. 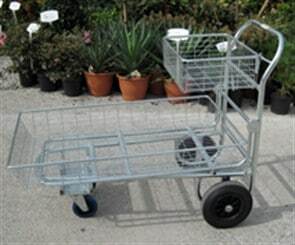 Over the past three seasons Gainsborough has proved to be our premium nesting trolley. 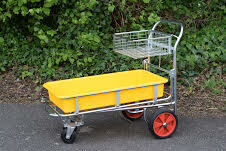 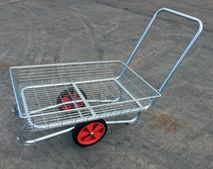 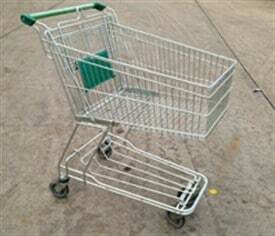 With easy manouverbility, large capacity, tight nesting and unique wheel combinations this trolley will not drift sideways on sloping areas. 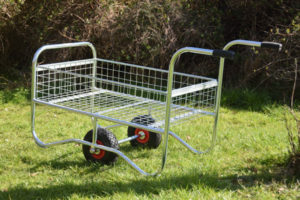 Our brand new product the Gainsborugh E Nesting Trolley is a smaller version the very popular Gainsborough nesting trolley. 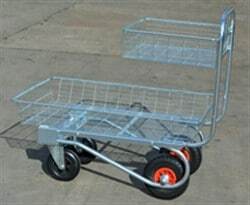 The customers choice where the four wheel stability makes this easier to push and steer. 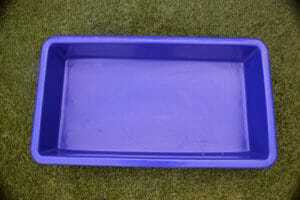 It also offers the smoothest running on solid ground. 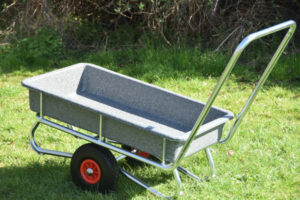 This popular new addition is both light and very manoeuvrable, even when loaded. 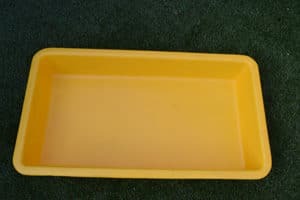 At the check-out it is level with the counter for easy transfer.